Upon discovering Josie Maran’s makeup line and subsequently all of her green goodness I felt like I found a kindred spirit! The girl’s got IT, and I don’t just mean the IT that launched her into supermodel status at a young age. Josie’s vivacious lease on life and her attitude towards responsibly glamorous beauty is what makes her stand out. As I pealed back the layers of Josie’s commitment to green initiatives (dutiful research in the name of blogging) I was impressed by her approach and the personality exuded in her endeavors. You can’t help but want to be her best friend, after all, her fledgling cosmetic line of her own namesake is an effort to create a luxurious line that is known for its love and respect of people and the planet. 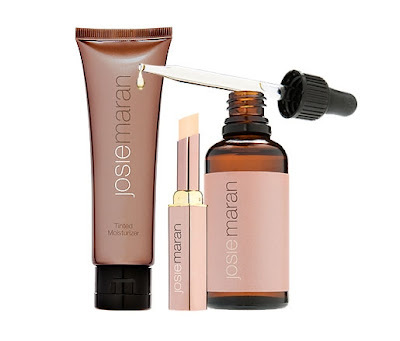 Josie Maran cosmetics are everything that I’m looking for in green products- they are not sacrificing style for substance. 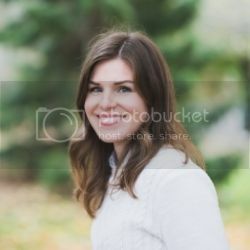 In addition to creating a business that is environmentally responsible, she has also teamed up with lots of other green projects such as Global Green. 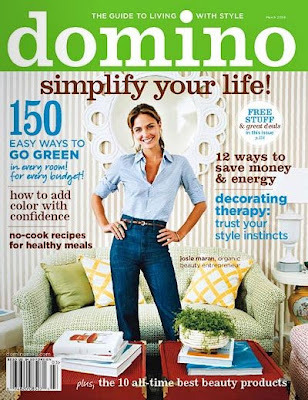 But let’s showcase for a moment, the girls fantastic and enviable eco style which helped her grace the green issue of Domino back in March of 2008. Watch this tour of her eco-friendly home and learn how she grows, juices and composts! Plus, I love that she calls her chic green interior style "chic-ological". All images are from Josie's blog, check her out! I like to think that by making your life a little greener you are doing something good for yourself, the environment and hopefully for the next generation. The altruistic quality of eco- consciousness is definitely gorgeous! The greenest girls I know have a vibe and appeal about them that is undeniable; yay for the gorgeously green IT girls out there showing the world! Look forward to reading your article, what a great idea!!! Thanks for the suggestions...will check out Lynda as I had not heard about her before.